Defending champion New England Patriots book their third Super Bowl trip in four seasons where they will square off against the Philadelphia Eagles. Corey Graham (center) of the Philadelphia Eagles is congratulated by teammates after getting an interception against the Minnesota Vikings in the NFC Championship game on Sunday. Tom Brady and the New England Patriots are going back to the Super Bowl in search of a sixth title. They’ll face a Philadelphia Eagles team looking for their first Lombardi Trophy. Brady led the Patriots (15-3) back from a 10-point, fourth-quarter deficit to beat the Jacksonville Jaguars 24-20 in the AFC championship game on Sunday. The Patriots will try to match the Pittsburgh Steelers’ six Super Bowl trophies when they face the Eagles (15-3) on February 4 in Minneapolis. Nick Foles, the backup QB who was thrust into the starting role when Carson Wentz blew out his left knee last month, led the Philadelphia Eagles to a 38-7 rout of the Minnesota Vikings in the NFC championship game. The Vikings were hoping to become the first NFL team to serve as host to a Super Bowl in its own stadium, but they followed up their “Minneapolis Miracle” with a “Flop in Philly.” So, they’ll clear out their lockers long before the Eagles and Patriots and their fans take over US Bank Stadium for Super Bowl 52 in two weeks. Oddsmakers like the chances of Brady winning a sixth Super Bowl ring, making the Patriots nearly a touchdown favorite to beat the Eagles. It started out ominously, however. The Vikings celebrated Kyle Rudolph’s 25-yard touchdown catch from Case Keenum on their opening drive by mimicking the Olympic sport of curling for their TD celebration. It was the Eagles who had all the fun after that. 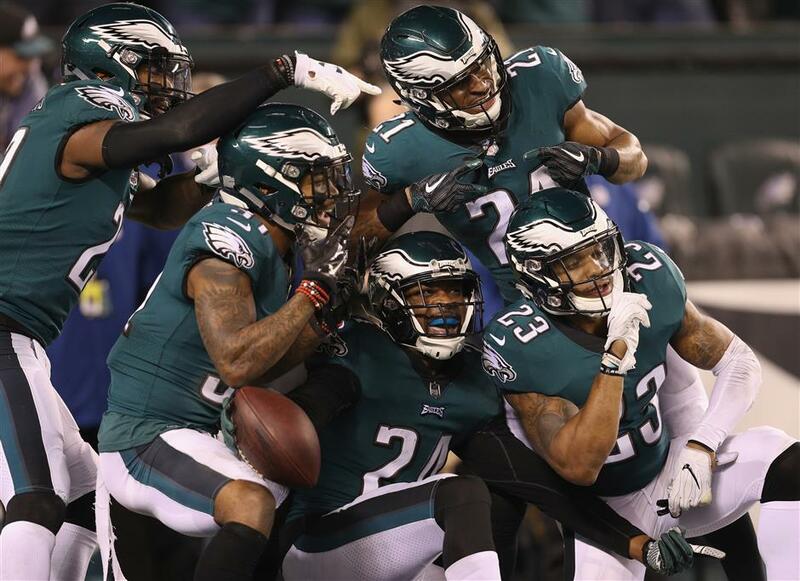 Patrick Robinson’s spectacular 50-yard interception return got Philadelphia started. Then Foles and his offense tore up the league’s stingiest scoring defense, with long TD throws to Alshon Jeffery and Torrey Smith. LeGarrette Blount had an 11-yard scoring run when things were decided in the first half, and the Eagles were headed to an NFL title game the Vikings (14-4) hoped to be in at their own stadium.